I read a short piece by Bill Fischer in the April issue of Financial Management (CIMA’s monthly journal). The woes of Toyota was the main subject – in case you’re not aware, Toyota have had major safety concerns on a number of its models in the past year or so. Fisher quotes from a book by Paul Ingrassia (Crash Course: The American Automobile Industry’s Road from Glory to Disaster). In this book, Ingrassia writes how Toyota ignored its own “three nevers” principle when deciding to manufacture some of its models in the US e.g. the much reported on Camry model with its jamming brake and accelerator pedals. The “three nevers” principle is: never build a new product, in a new facility, with a new workforce. In the case of the Camry in the US, all three were broken. But surely, you might say, a company as large as Toyota would have rules and procedures about how things are done? They do of course, but a large amount of tacit knowledge – or know-how in the heads of experienced employees – never gets written down and passed on. In the case of Toyota, such tacit knowledge cannot be passed on in a new country, with a new plant, model and workforce in a short time period. Any what’s the relevance of tacit knowledge for management accounting. Quite a lot actually. 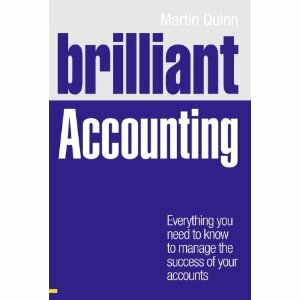 If you have studied accounting, do you remember those early first year lectures where management accounting was defined for you? Compared to financial accounting, management accounting is unregulated and loosely structured. While two management accountants having a chat about budgets will both know what a budget is, it’s quite likely that they do their respective budgets in very different ways. There’s a good chance too they do not write down how they prepare budgets or do any other work for that matter. Many academics have written in the importance of tacit knowledge and management accounting practices. For example, the work of Burns and Scapens (2000) uses institutional theory to help explain why management accounting practices remain stable. One reason they offer is that management accounting may become engrained and accepted. This does not imply that management accountants follow rigid rules saying what they should do, rather that the work they do becomes tacitly accepted. So when you get you first job as a management accountant, sit back, listen, figure out what is going on. In other words, you’ll have to pick-up the tacit knowledge of what management accounting means in the organisation. Burns, J. & Scapens, R. 2000, “Conceptualising management accounting change: an institutional framework”, Management Accounting Research, vol. 11, pp. 3-25.